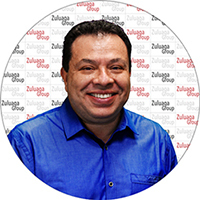 The Zuluaga Real Estate Group specializes in all aspects of Real Estate in the greater Kansas City area. Whether you are in the market to buy a new home, find an investment property, sell a home or piece of property, the Zuluaga Real Estate Group will assist you with every step of the process. Assisted over 250 families buy or sell a home in the last 3 years. Over 40 Million Dollars in gross sales in the last 3 years. Licensed in both Kansas and Missouri. KC Magazine Best in client satisfaction 2008-2017. City of Kansas City Missouri Fair Housing Award 2009. Members of the Hispanic Chamber of Commerce, Olathe Chamber of Commerce, Kansas City Regional Association of Realtors, and the National Association of Realtors (NAR). Maria Zuluaga—Board Member of Habitat for Humanity. Backed by the world’s best recognized name in Real Estate—RE/MAX. Offering you the advantage of local, national and international exposure in English and Spanish. If experience, service and professionalism are important to you, the Zuluaga Real Estate Group would be honored to add you to our list of extremely satisfied clients. Nestor Zuluaga, has a B.A. in Project Management from DeVry University. He also has 18 years of experience in new home sales, resale, new construction and development. Licensed in both Kansas and Missouri. 2014 Kansas City Regional Association of Realtors. Voted KC Magazine Best in client satisfaction 2008-2017. Awarded City of Kansas City, Missouri Fair Housing Award 2009. Backed by the world’s best recognized name in Real Estate—RE/MAX. Offering you the advantage of local, national, and international exposure in English and Spanish. 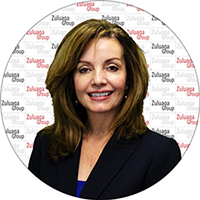 Maria Zuluaga has 18 years of experience in new home sales, resale, and new construction. Licensed in both Kansas and Missouri. Voted KC Magazine Best in Client Satisfaction 2008-2017. KCRAR Grievance Committee member. Board member for the Habitat for Humanity Family Selection Committee. Backed by the world’s best recognized name in real estate—RE/MAX. 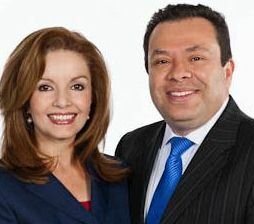 Natalie Zuluaga McCarter has an MBA from Avila University. Joined the team from a strong lending background. Licensed in both Kansas and Missouri. Backed by the world’s best recognized name in real estate—RE/MAX, and 36 years of combined experience on the Zuluaga Group. 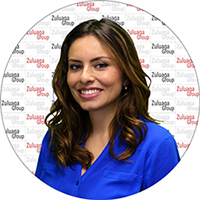 Rosa Borges has 10 years of experience in Real Estate with a background in accounting. She is passionate about guiding her clients through the home buying process to help match a client with a home they love. 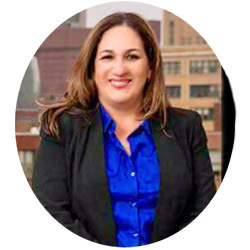 Rosa is fluent in both English and Spanish, and she is licensed in both Kansas and Missouri.